From the website's end, the only problem is that every other website on the internet is running the same video. To get the lion's share of the traffic, it's imperative to stand out in your attempts to draw the attention of the right-thinking people to whom the popular broadcaster is pandering. This is why you see headlines in your Facebook feed every morning talking up how John Oliver ANNIHILATED or CRUSHED this or that. It's tough to get creative, though, and the internet is running out of synonyms for "destroy." That's why the Deadspin staff brainstormed up some headlines that everyone is free to use. (We'll grab one the next time Keith Olbermann EVISCERATES the NFL for the benefit of right-thinking football fans; after all, we definitely want a slice of that free traffic.) Think of Olbermann and the NFL as placeholders; any of these would work just as well with, say, Jon Stewart and advocates of land war in Syria or whatever. 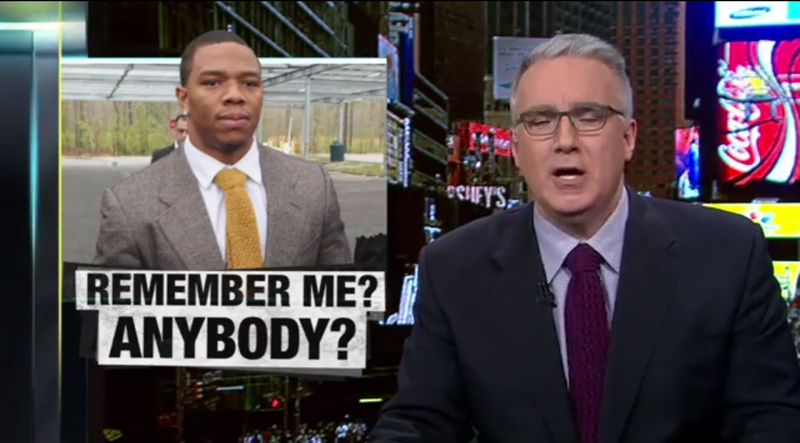 • Roger Goodell Answers The Phone And Keith Olbermann Says Check On The NFL. And Roger Goodell Checks On The NFL And It's Fine. And Then Keith Olbermann Calls Again And Says Check On The NFL. And Roger Goodell Checks On The NFL And It's Still Fine. And Then Keith Olbermann Calls Again And Says Check on the NFL. And Then Roger Goodell Calls The Police And Says Where Are These Calls Coming From And The Police Say They're Coming From Inside The House. And Then Keith Olberman Kills Roger Goodell And The NFL. • Keith Olbermann Takes Aim At The NFL, But The Shot Comes From Behind The NFL's Head. It's Jon Stewart. He Was Also Taking Aim And Fired The Killshot.